Linear prediction models assume that there is a linear relationship between the independent variables and the dependent variable. Therefore, these models exhibit high bias and low variance. The high bias of these models is due to the assumption of nonlinearity. If this assumption does not sufficiently represent the data, then linear models will be inaccurate. On the other hand, linear models also have a low variance. This means that if several linear models would be trained using different data, they would perform similarly on the same test data set. This is because linear models are inflexible because there are few parameters to be tuned. Thus, linear models are interpretable and robust. However, if their assumptions are not met, they willl perform poorly. When do use linear models? There are few data available, which would lead to overfitting with more complex models. There are indications for a linear association between features and outcome. Interpretation rather than predictive performance alone is important. Linear regression: the most basic linear model for regression. Logistic regression: a linear model that is suitable for classification. Generalized linear models: for specific applications other linear models such as Poisson regression may be appropriate. Ridge regression: a linear model for regression that is regularized using an \(L_2\) norm. Lasso regression: a linear model for regression that is regularized using an \(L_1\) norm. Support vector machines (SVMs): SVMs based on linear kernel functions correspond to linear, \(L_2\) regularized models relying on a hinge loss. The following posts deal with linear models for prediction. Linear discriminant analysis (LDA) is a classification and dimensionality reduction technique that is particularly useful for multi-class prediction problems. In this post I investigate the properties of LDA and the related methods of quadratic discriminant analysis and regularized discriminant analysis. Generalized linear models (GLMs) are related to conventional linear models but there are some important differences. For example, GLMs are based on the deviance rather than the conventional residuals and they enable the use of different distributions and linker functions. This post investigates how these aspects influence the interpretation of GLMs. Although ordinary least-squares regression is often used, it is not appropriate for all types of data. Using the airquality data set, I try to find a generalized linear model that fits the data better. For this purpose, I use the following methods: weighted regression, Poisson regression, and imputation. Linear machine learning models are very convenient for interpretation. 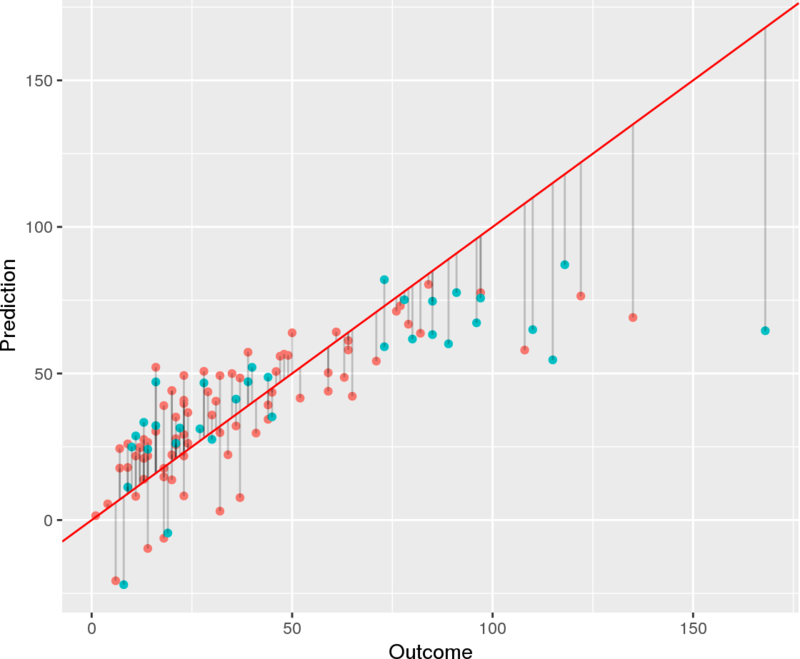 This post discusses the following aspects: residuals, coefficients, standard errors, p-values, the F-statistic, and much more.